What are Cosmetic Gum Treatments? Cosmetic gum treatments aim to restore the gum levels to their natural and aesthetic levels. These are aimed at covering the exposed roots in the case of gum recession and at exposing the roots in the case of excess gum (gummy smile). 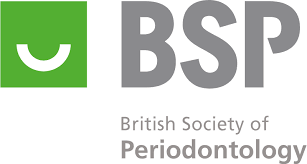 At BPI Dental we have over 20 years experience in treating these conditions with the latest advances and techniques from Europe and North America. What Happens During Cosmetic Gum Treatment? This is how we can rebuild the lost gum tissue by taking a small graft from the roof of the mouth and transplanting this on the affected sites. This is also done under local anaesthetic and the results look superb after a short healing period. As the graft is taken from your body there is very little chance of rejection. Do You Require Cosmetic Gum Surgery? Exposed roots or gum recession can be very distressing for some people not just because of the unsightly appearance but also they can be extremely sensitive to temperature as well as certain foods. Excess gum can be very distressing for some people, not just because of the unslightly appearance, but also because they can be extremely sensitive to temperatures, as well as certain foods. The extra gum can also make the teeth appear shorter than normal. We are able to reposition the gum, usually under local anaesthetic, in just one visit. The patient leaves with a beautiful smile with normal contours and lengths of both teeth and gums being in harmony. 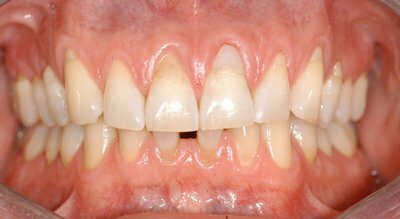 This young man presented with substantial recession of the gums around his upper teeth which prevented him from smiling. The after picture shows the results after 3 months and he was extremely pleased with the result and could not stop smiling. 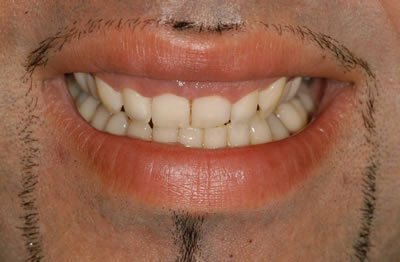 The patient leaves with a beautiful smile which normal contours and lengths of both teeth and gums. The patient was ecstatic with this generally minimal treatment. 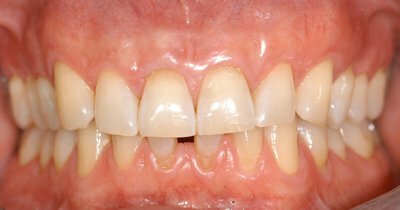 Why should I consider cosmetic gum treatment to improve my smile? Exposing your potential smile and enhancing it is something that you should be considering if you feel you have a gummy smile and it is affecting your every day life. An uneven gum line does not suit everyone and if you feel you want to do something about it, then why not? 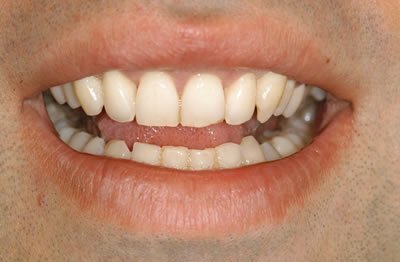 How will cosmetic gum treatments improve my smile? We have a consultation process that involves one of our dentists going over the procedure, whilst asking you about how you would like your smile to look. We have crown lengthening procedures that involve removing some of the excess gum to give you the smile you want and expose as much of the tooth as we can. Are there any other reasons, apart from cosmetic, to have the procedure? Yes. A tooth that is covered by excess gum is one that is more prone to plaque build up. If you feel it is covering quite a considerable amount of your tooth, you should be definitely considering the treatment. No. The procedure is performed under local anaesthetic and your dentist will ensure that you are comfortable throughout the entire procedure. Our dentists are compassionate and will listen if you are in any sort of discomfort.